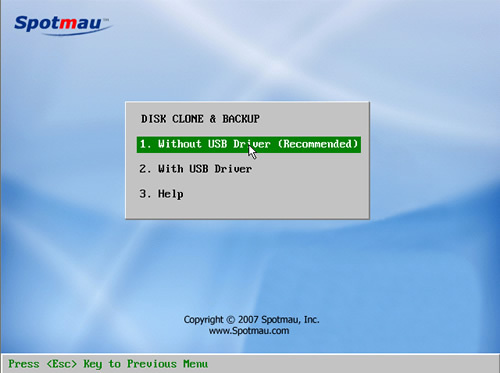 How to clone Windows 98, Me/ NT, 2003 with Spotmau Disk Clone & Backup? 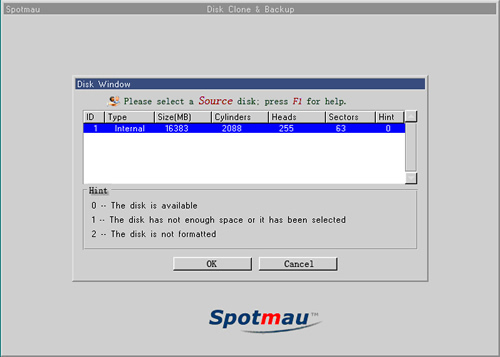 Spotmau Disk Clone & Backup is for cloning Windows 98, ME, NT, 2000, XP, 2003 and Vista. It supports IDE, SATA, SCSI, and USB interfaces. 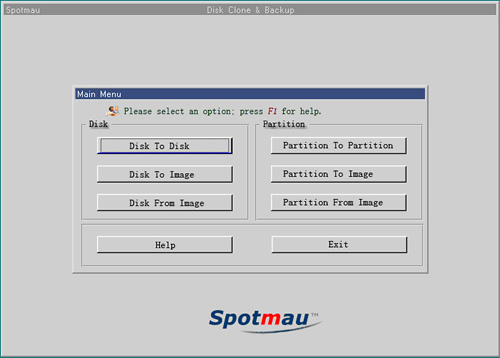 Spotmau Disk Clone & Backup package provides all kinds of disk clone options: Disk to Disk, Disk to Image, Disk from Image, Partition to Partition, Partition to Image, Partition from Image. Step 2: Please select the disk clone/backup options or partion clone/backup options. There are 6 kinds of disk clone options: Disk to Disk, Disk to Image, Disk from Image, Partition to Partition, Partition to Image, Partition from Image, just select one as you need. Step 3: Please select a source disk for clone or backup, and then click "OK".